Save an extra CDN$ 16.96 (64%). Buy the Kindle Edition instead. Comment: This book is in good condition and will be shipped within 24 hours of ordering. Eligible for FREE SHIPPING - 100% Money Back Guarantee! Amazon fulfills shipment with tracking info and provides customer service for returns! 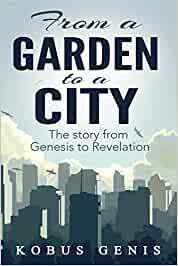 Start reading From A Garden to a City on your Kindle in under a minute.